For all plantings, we recommend eradicating and removing all undesirable vegetation. Typically, this is done with Roundup. Wait one week after spraying before planting. Prior to planting, clear the site of all debris (i.e. leaf litter, wood chips) and other impediments of good seed-to-soil contact. If the site is compacted, consider applying 1"-2" of well-decomposed compost to the site, followed by rototilling to a depth of 6 inches. Seeds should be planted approximately 1/4"-1/2" deep. Following hand broadcasting, use a garden rake to incorporate the seed into the soil. For small sites, firm the seedbed afterwards by walking on it. Firming the seed bed will ensure good seed-to-soil contact, leading to greater establishment success. Optimal seeding time is after the last frost. Germinates 3-6 weeks. Click here to buy one pound of this honeybee forage seed mix. 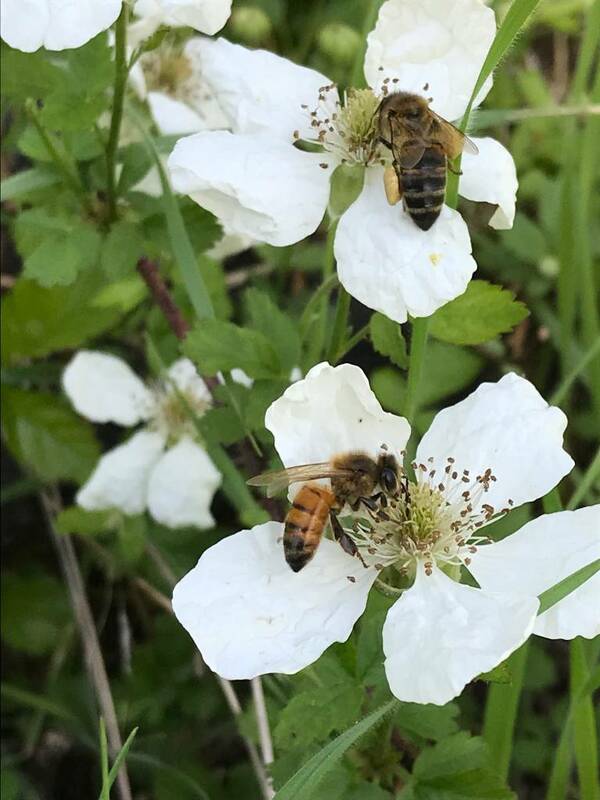 We were temporarily out of the honeybee forage seed mix, but they are back in stock and you should be able to order them now. We have 1 pound bags available for $7.69. Some other plants that are great for pollinating are Indian Blanket, Vetch, Vitex, Flowering Quince, and Sage. Hi I cannot get the price on the seed mixture or to know how to buy. Want other sources of food can be planted or bushes are good for pollination.